On the sunny side of the Schmittental the traditional family run hotel Daxter enjoys a wonderful peaceful location on the outskirts of Zell am See. Run by the Wartbichler family, with a recently refurbished reception, lobby and wellness area guests will experience true Austrian hospitality along with good traditional food. 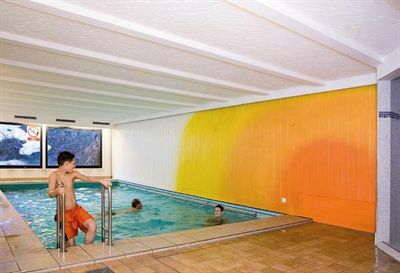 On the sunny side of the Schmittental the traditional family run hotel Daxter enjoys a wonderful peaceful location on the outskirts of Zell am See. Run by the Wartbichler family, with a recently refurbished reception, lobby and wellness area guests will experience true Austrian hospitality along with good traditional food. Just a few minutes walk to the ski lifts and ski school meeting point the Hotel Daxer is the ideal choice for those keen to get out on the slopes early. 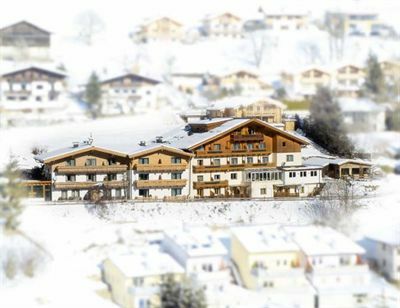 Skiing back to the hotel · peaceful location · 3 minutes walk to Schmittenhöhe lift · 25 minutes walk to resort centre. For 2 people on half board sharing a room with Austrian twin beds, private bath or shower, WC and balcony. Standard rooms sleep up to 3 people with sofa bed (maximum 2 adults). Quad rooms consisting of one room with Austrian twin beds and sofa bed are available (maximum 3 adults or 2 adults and 2 children). Superior rooms sleeping up to 3 people are also available at a supplement. All bedrooms have cable TV, hairdryer and balcony. Hot and cold buffet breakfast · 4 course evening meals with a choice of main course · daily salad buffet · afternoon apre ski snacks · soft drink, juices, water, coffee and tea free from 10am to 10pm. Indoor swimming pool · recently refurbished wellness area with sauna, steam room and relaxation area · bar and lounge area with open fire · lift to all floors · 38 bedrooms. Skiing back to the hotel and only 3 minutes walk to Schmittenhöhe lift. Peaceful location on the outskirts of Zell am See - 25 minutes walk to resort centre. Indoor swimming pool with sauna, steam room and relaxation area. Bar and lounge with open fireplace, après ski hut with Sky Sports next to hotel.